Salesforce offers a number of CRM solutions to its customers and one such solution is sending mass emails in Salesforce. 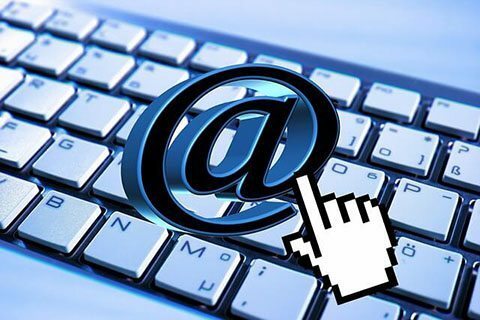 Email is one of the best communication systems in the world and it is a quicker and faster way to communicate with anyone whether there is a concern for sending emails to employees or to a client. When there is a need for sending similar emails to a big number of people, sending a mass email instead of single emails one by one is better. If you an active Salesforce user and looking for ways for how to send a mass email in Salesforce, we have some solutions for you. Salesforce itself provides you a native functionality for sending mass emails and the functionality is sufficient of you don’t have a big number of recipients in your list. Also if you don’t want a lot of tracking and monitoring feature, this native functionality is sufficient. Go to the Contacts home page or Leads home page. Select the Contacts which you want to send the email to, through the View drop-down list. Select the correct folder along with template from the Folder drop-down list. In the Name column select the desired radio button and click Next. Review all the elements of the Mass email and click Next. In the confirmation page, select the appropriate tick boxes and click Next. In the Mass Email Name field, enter the name of the email. Select whether you want to send the mass email now or you want to schedule it later. Both the options are present and as you select the desired option, the mass email delivery will be set. Click Send and your mass email will be sent to the recipients you have selected. This was the process for how to send a mass email in Salesforce using native functionality. There are certain third party tools which when integrated with Salesforce provide extra features like extending the limit of number of emails sent, improving tracking and monitoring and other features. AppExchange is a place where you can get such tools and when integrated with Salesforce you can utilize it to send mass email in Salesforce. Selection of such tools can be made on the basis of the useful features offered and efficiency of costs involved in purchasing them. Hopefully we helped you understand how to send a mass email in Salesforce with this blog post.